This is my husband's first tattoo. It was a custom piece done by Gabriel Cece at Fuzion Ink in Norfolk, VA. 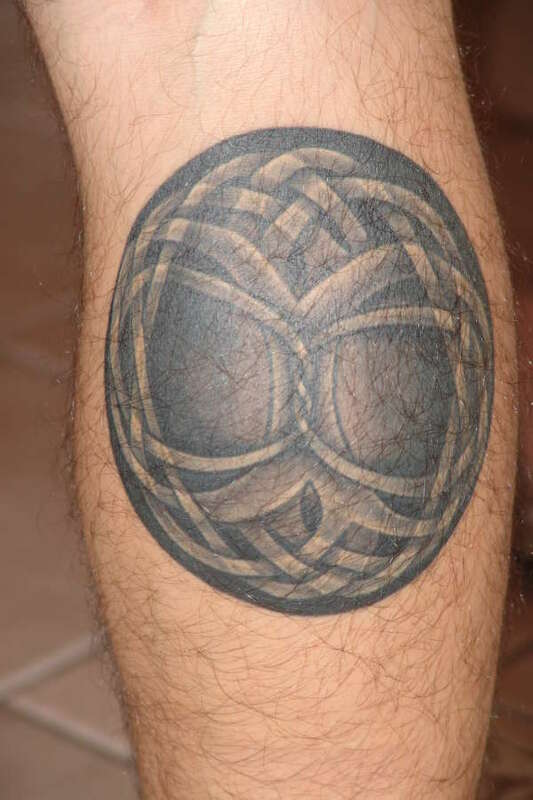 It's a celtic tree of life on his calf, symbolizing the interconnectedness and circular nature of life. We got coordinating tattoos to celebrate our anniversary last year. The twist in the middle of the tree trunk represents us. Seven hours over two sessions.